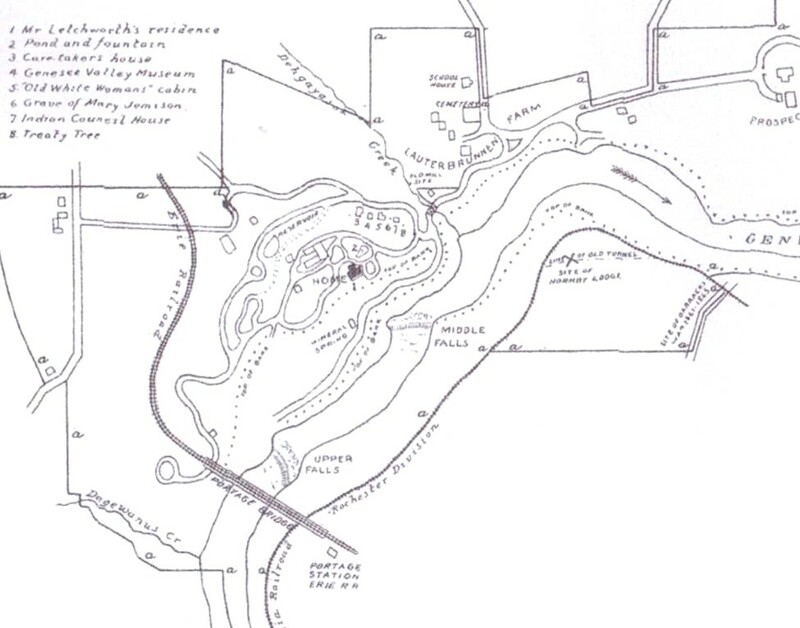 This is one of the earliest maps made by the American Scenic and Historical Preservation Society of the new park. It appeared in the Society's 1908 annual report. 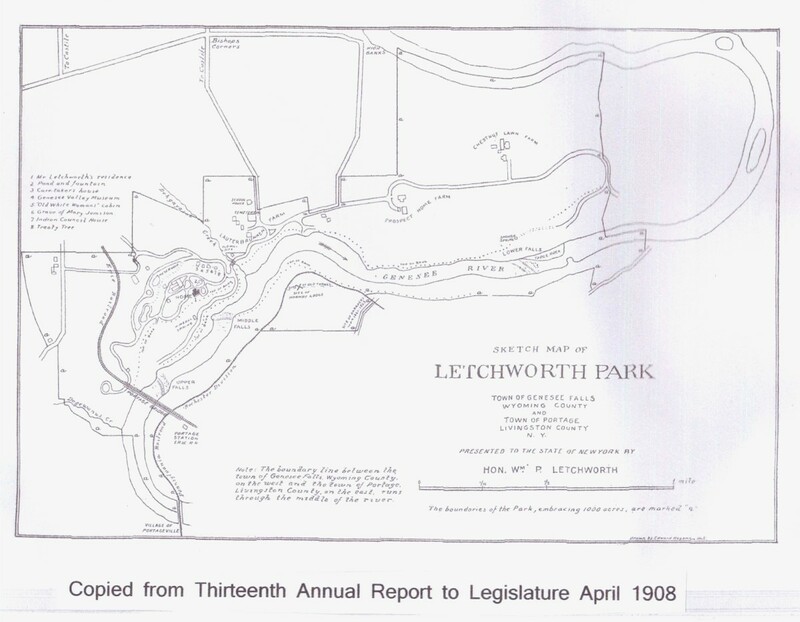 The map is of interest because it shows the boundaries, roads, trails, and other features as they were were developed by Mr. Letchworth and given by him to New York State. It is interesting note, for example, that the road south of the Glen Iris only extends a short distance beyond the bridge. It wasn't long before development brought changes to the lands of Letchworth Park. A close up of the Glen Iris portion of the map is found below the full map.